SACRAMENTO, CA [March 28, 2019]--A wine tasting tour of California doesn’t have to require hours in the car driving from tasting room to tasting room. 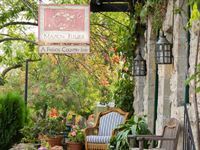 Dozens of bed and breakfast inns are clustered around California’s wine country towns, making it easy to park, stay overnight and sip around town on foot. These California inns are perfect pairings with wine-tasting adventure for their convenience and welcoming wine country hospitality. 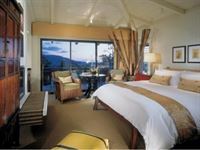 The intimate and luxuriously cozy Lavender, A Four Sisters Inn, sits in the heart of the village of Yountville. 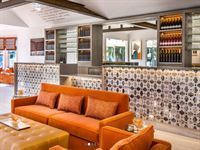 This historic Napa Valley farmhouse-turned-inn combines the warm colors of Provence with contemporary design elements to create a vibrant setting. One of the top viticultural regions in the world, Napa Valley is home to a diversity of wine producers, from boutique tasting rooms in rustic barns to stately and formal chateaus. 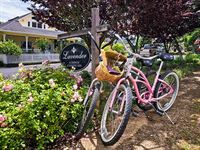 There are more than a dozen tasting rooms within a few blocks, but guests can also take a spin on complimentary bicycles to cruise to nearby vineyards. Also in Yountville, Maison Fleurie brings French flair to Napa Valley. Its historic brick main building and gorgeous flower garden have been local landmarks for over 100 years. Finely crafted furniture, rich fabrics, and a huge brick fireplace enrich the ambiance. Guests can choose to ditch their cars and walk to the many wine tasting rooms right in the village or borrow Maison Fleurie’s bicycles to explore the surrounding wine country. After a day of wine tasting, the inn’s outdoor swimming pool and hot tub await, as do local wine and hors d’oeuvres in a cozy gathering room. The Wine Way and Craftsman Inns offer original Craftsman architecture alongside modern amenities, and both are within walking or biking distance to over 20 Calistoga wineries and tasting rooms. Both inn feature delightful rooms with tranquil colors and cozy furnishings that complement the original turn-of-the-century style. Tasting rooms are as close as across the street, and there are nearly a dozen wineries within a short bike ride. Surrounded by vineyards and some of the finest wineries in Napa Valley, Calistoga is the ideal setting for the wine enthusiast. 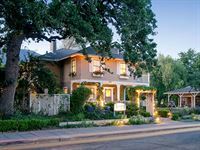 Hanford House Inn is a luxury bed and breakfast in historic downtown Sutter Creek, the heart of the Sierra Foothills wine region. Long before Napa was the center of wine culture in California, the rolling foothills of the Sierra Nevada were home to some of the most fruitful wineries in the state. There are 11 tasting rooms within walking distance of Hanford House Inn. Each room at the inn blends modern urban living with a nod to the historic setting. The innkeepers pour complimentary glasses of local wine each evening. 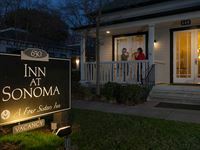 The Inn at Sonoma blends the modern, sophisticated luxury of a boutique hotel with the traditional ambiance of a bed and breakfast. 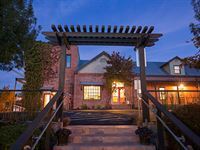 Located just a block-and-a-half from the historic Sonoma Plaza, the inn is within easy walking distance of more than two dozen wine tasting rooms. In fact, eleven are less than a block away. 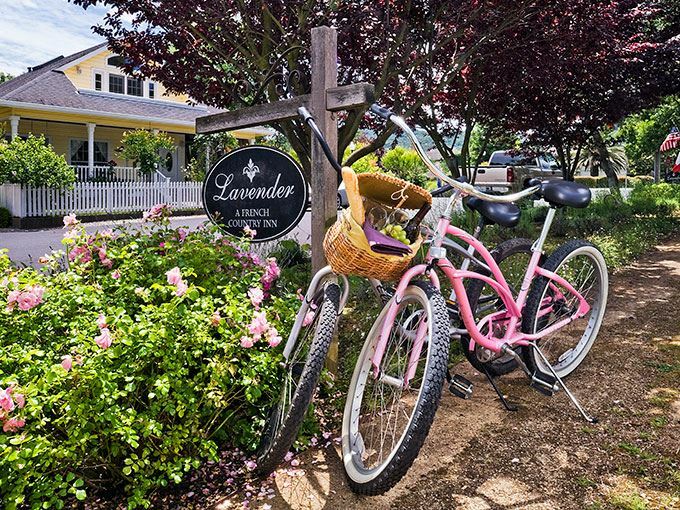 Guests can explore slightly farther afield by hopping on one of the inn’s bicycles, picking up some locally produced cheese, bread and olives from a local purveyor, then enjoying it all with a bottle of local wine on the Plaza. 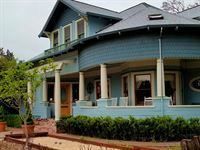 The Haydon Street Inn is an upscale B&B just five blocks from downtown Healdsburg and a short walk or bike ride away to a romantic picnic at one of the wineries in Dry Creek Valley, Russian River Valley or Alexander Valley. A stay at the inn includes a complimentary wine tasting passport. The inn’s co-owner was formerly the executive chef at Churchill Downs, and each evening, the inn hosts a wine reception to showcase their olive oil pressed on the property, pizzas from their wood-fired oven, and of course, local wines. In the heart of Los Olivos, the Fess Parker Wine Country Inn is a quiet retreat amid Santa Barbara County’s wine country. Whether heading out on a horseback vineyard tour, enjoying complimentary wine tastings at the inn’s Epiphany tasting room a few blocks away, or touring any of the additional 20-plus tasting rooms within walking distance of the property, guests will find no shortage of wine-related adventures. Complimentary with every guest stay is a bottle of Fess Parker Winery’s Santa Rita Hills Pinot Noir and breakfast made from ingredients grown at the Fess Parker Ranch just seven miles away. Centrally located in Solvang, The Landsby is within walking distance of five tasting rooms. The Landsby’s Local Winery Guide highlights nearby tasting rooms and offers complimentary and two-for-one tastings. Featuring clean, contemporary design with a traditional Scandinavian aesthetic, the hotel’s airy guestrooms are finished with blonde woods, brushed brass accents, and hand-crafted furnishings. The property’s outdoor garden lounge provides an oasis for guests to relax and unwind among lush landscaping and romantically lit trees. Mad & Vin, The Landsby's signature restaurant, specializes in wine country-inspired cuisine with fresh, seasonal ingredients from California's central coast. 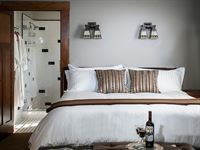 The Four Diamond-rated Santa Ynez Inn offers an atmosphere of understated, unspoiled luxury coupled with warm hospitality, for those seeking an indulgent wine country getaway. Nestled in the heart of Santa Ynez near restaurants, shops, and world-class tasting rooms, the inn offers a Tasting Passport to guests that include complimentary tastings at over a dozen wineries and tasting rooms in the valley, including a couple that are just a short walk away. Afterwards, guests make their way back to the inn with the wine they’ve scored for a relaxing evening by the outdoor fire pits. In Santa Barbara wine country town of Los Alamos, the Victorian Mansion is a one-of-a-kind, luxury-themed bed and breakfast featuring six masterfully themed suites. It’s also within walking distance of four wine tasting rooms on wine trails made famous by the movie Sideways. Each room at the mansion is an immersive experience delighting all the senses, complete with hand-painted murals and tiles, hidden bathrooms, and themes that include The 50’s, Gypsy, Roman, Egyptian, Pirate, and French suites. Each morning a gourmet breakfast magically appears in each guest’s suite via a private food butler. Carmel-by-the-Sea’s L’Auberge Carmel offers guests the chance to discover Monterey County wines, including vintages from Salinas, Carmel Valley and Santa Lucia Highlands. With 10 tasting rooms within walking distance, guests can easily enjoy a self-guided tour of the region’s wine story. There’s also the option of sampling from the 4,500-bottle wine collection at L’Auberge’s on-site Aubergine restaurant, a list that features great wines from around the world but with a focus on Monterey County and France. The inn’s guest rooms feature fine linens, down bedding, spacious baths with radiant floor heating, hand-hammered copper sinks. 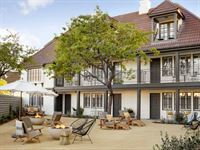 Also nestled in Carmel-by-the-Sea, Tradewinds Carmel is an oasis of tranquility, with a meditation garden and design that reflects a fusion of Asian and tropical elements. The inn was featured as one of Architectural Digest’s most glamorous hotels, one of Forbes Travel Guide’s best small hotels, and one of Coastal Living’s world’s top inns. Guests will find tasting rooms, wine bars, and bottle shops all within walking distance. The inn offers a Wine Package which includes a two-night stay, discount wine tasting cards, continental breakfast, and a $75 dining certificate. Package rates start at $533 per night plus tax. Ojai Valley’s Lavender Inn invites guests to escape to inviting rooms, scrumptious breakfasts on a garden-view veranda, and a magical location within walking or biking distance of six tasting rooms. Once Ojai's first schoolhouse, the historic inn now features an on-site spa, culinary classes taught by visiting chefs, and seven antique-filled rooms that offer garden views, fireplaces, and balconies. Just steps away from the inn, Casabarranca Winery showcases its organic wines, Majestic Oak Vineyard sports a lovely courtyard patio, and the newly renovated Ojai Vineyard offers an intimate setting next to the Ojai Art Center. For more information on these and other CABBI inns, visit www.cabbi.com.